A direct flight was launched Tuesday between Guiyang, capital of southwest China's Guizhou Province, and Mandalay, Myanmar's second largest city. 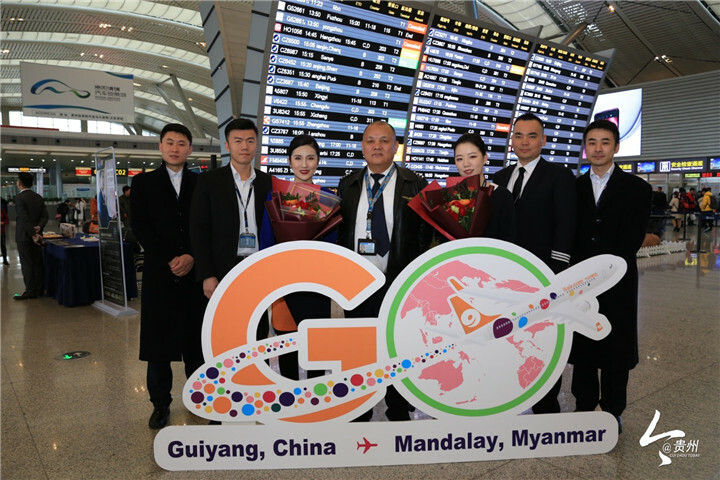 The air route, operated by China's low-cost carrier 9 Air with a Boeing 737-800 aircraft, is the first direct flight linking Guiyang and Myanmar, according to Guiyang Longdongbao International Airport. Three round trips are scheduled each week on Tuesday, Thursday, and Saturday. The outbound flight leaves Guiyang at 6:05 p.m. Beijing Time and arrives at Mandalay International Airport at 6:45 p.m. local time. The return flight departs from Mandalay at 7:45 p.m. local time and arrives in Guiyang at 11:45 p.m. Beijing Time. China is a big source of visitors to Myanmar. To attract more Chinese travelers, Myanmar has started to grant visa-on-arrival access to Chinese visitors since Oct. 1, 2018.